The Tip Calculator calculates tip amount for various percentages of the cost of the service, and also provides a total amount that includes the tip. In the US, a tip of 15% of the before tax meal price is customary. If the sales tax rate in an area is between 6% and 9%, a tip of 14% of the after-tax price is typically expected. The Shared Bill Tip Calculator considers the cost of the service, number of people, and chosen tip percentage to calculate the tip per person, as well as the total cost per person. A tip or gratuity is an extra sum of money paid to certain service workers for a provided service. 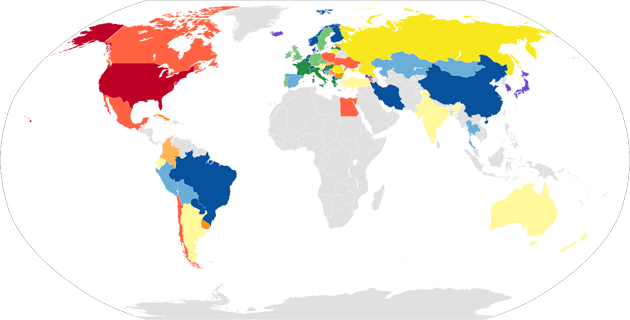 Tip amounts, as well as acceptance, vary in different parts of the world. In some countries in East Asia such as Japan, tips are seen as insulting and can sometimes be interpreted as a bribe. In yet other countries such as the United States, tipping is widely expected, and in many cases, is even factored into a service worker's compensation towards satisfying the minimum wage requirement. This is important to note, since although tipping is entirely voluntary, many servers depend on tips to make a living in countries like the United States. As such, as a tourist, it can be helpful to research the tipping customs in the countries being visited. In the U.S. or any other country where tipping is expected, depending on the restaurant or the number of patrons at a table, gratuity may be automatically applied to the bill amount. As previously mentioned, tipping can be offensive in some countries, so although a citizen of the United States that is visiting another country may want to express their appreciation of the service provided, the gesture may in some cases result in the opposite effect. Below is a map that provides some information regarding whether or not a tip is expected, or how a tip may be received in certain regions, as well as a table of typical tip amounts in the United States and Canada for different services. Food Delivery 15%-20% depending on the distance, total price, etc. Hotel Housekeeping Not expected, $1-$2 per person per night.